Book Description: The Talmud is filled with knowledge, inspiration, and insights that enrich all facets of Jewish life. Yet many are intimidated by the thought of studying its text, and their hesitancy prevents them from experiencing the wisdom of its words. In this new volume, Rabbi Judith Abrams takes readers with her on a journey through one volume of the Talmud, offering reassuring guidance and making it meaningful and accessible to all. 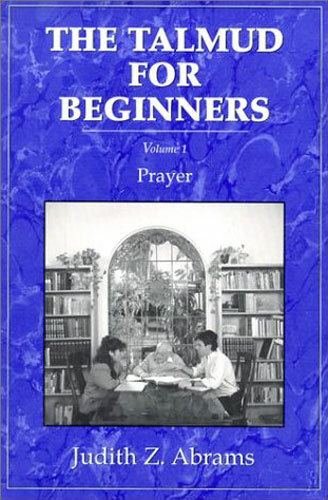 The Talmud for Beginners–Volume 1: Prayer is the first book in a series by Rabbi Abrams. For lay readers who are unfamiliar with Talmud, this work serves as an introduction to talmudic thought. For those who are familiar with talmudic methodology, this volume will serve as a convenient overview of one book of the Talmud, Berachot (literally, "blessings").